One of the things I love about moving to a new area is getting to know the people. As we learn about the people, we learn their stories, their passions, their hopes and dreams for the future. We also have opportunities to learn more about who they are as a person, what their struggles are, and what’s going on in their life. So far, we have talked about praying for God’s direction and work in the new area. This is important because we will be able to see and experience much more “success” because we are joining God in the work being done instead of coming in and doing what we want to. Then, we have talked about meeting people where they are and allowing them to be their real, true selves. This is all “big picture” stuff, if we think about it. I do much better when I think about the bigger picture because I struggle at the detail level often; but this is where we are heading now. I would recommend finding ways to be in a small group in your new area. This will do a few different things. 1) You will be able to spend more intentional time with a smaller amount of people and give them a chance to learn about you. 2) You will be able to focus more on relationship building. 3) Trust is developed more in smaller groups than always being on stage, or in larger venues. In a church setting, we often talk about small groups as Bible study groups. These are all well and good; but I would challenge us to think about small groups a little differently. Instead of finding ways to impart “wisdom and knowledge” creating atmospheres where people can share, free of judgement, and build each other up is a key. What are some ways we can do this? I’ll be talking about what we can do in a church setting; but feel free to modify these approaches for your own setting. Bible Study groups are a way for people to get together and knowingly talk about the Bible, theology, and doctrine. These provide settings for people to tell what they have studied and believe about scripture. Lunch after worship is a great way to connect and be with people in a public setting and enjoy a meal together. Meet together at restaurants, bars, to share life together. There are many different ways we can connect together in small groups. This is vital because it is much easier to get to know a person in a smaller group setting. I also want to be quick to note that using small groups to get to know people should not really be why we are doing them. We should be involved in small groups because we are genuinely interested in other people and their lives; because they would be interested in our life. As we continue to learn about the area, pray for direction, meet people, and really begin to share our lives together, God will be working. It will be incredible to see what God will continue to do to help the church, organization, business, neighborhood, etc. For a great book resource on starting small groups within a church that promote life transformation through the Gospel of Jesus Christ, check out Kevin Watson’s book The Class Meeting: Reclaiming a Forgotten (and Essential) Small Group Experience. Click here to read the passage for today: Acts 6:1-7 CEB. If you have been in any position of leadership, you have heard about what aspects of the organization are missing or need to be redone. Anything that needs to be done can cause some anxiety among people because our first inclination is to fill the position quickly. We look around us and find someone who has know-how for what needs to be done and then try to plug them into the role of the new ministry, new event, new aspect we know needs to come to fruition. When we act with the mentality of placing a warm body to fill the position, how long does the program or event last? How much fruit/results will be seen through the new venture? As we look at our passage for today, look at how the early Church filled positions. Notice the apostles had people come forward with complaints, with strong suggestions about what more needs to be done. We, as leaders, are not immune to having people complain or show areas that are not at their potential. It could be very easy for leaders to think they have to do everything and find the right people themselves. Or, if complaints are heard all the time then our hearts could become hardened to the true need around. The apostles could have easily ignored the situation of people not getting food because they had “more important” work to do of proclaiming the gospel; but they didn’t. Instead, the apostles listened! They listened with concern for those around them. They listened with concern to those who were not getting what they needed. They listened. Then, they commissioned the Greek-speaking disciples to seek out and find the right people. I am sure they took this task very seriously. If the rightly motivated, or gifted, people were not put in the roles of care, the task would not get done in the right spirit or carried out successfully. Look at who they chose to provide the service: “Stephen, a man endowed by the Holy Spirit with exceptional faith, Philip, Prochorus, Nicanor, Timon, Parmenas, and Nicolaus from Antioch, a convert to Judaism.” They chose those who had been gifted and had the right demeanor for this important task. They were not just putting anyone in the position. I have read books and have listened to great leaders and they always point to finding the people with the right passion and the skills can be learned. Many people believe leaders are made and not born. I believe it is a combination of both. If we can find the people with passion for the task and a vision to accomplish it, then we will hopefully get people who will encourage and build up the community. We are born with some leadership qualities and we can nurture and develop other qualities. As you are searching for people to fill empty positions seek for passion, seek for being gifted, seek God’s hand, we will be able to have the right type of person to fulfill the task at hand. Trust that when God places a vision on your heart for a new task, activity, mission, that he will also guide you to the right type of person to aid you. Ephesians 6:21-24 Tychicus, my loved brother and faithful servant of the Lord, can inform you about my situation and what I’m doing. I’ve sent him for this reason—so that you will know about us. He can reassure you. May there be peace with the brothers and sisters as well as love with the faith that comes from God the Father and the Lord Jesus Christ. May grace be with all those who love our Lord Jesus Christ forever. Paul always ends his letters with a statement of grace. Even though there are times when he had to scold the congregations he planted, he wanted them to know and live into the grace that God was giving. I believe we could take the example of Paul and be sure to send people who will keep information correct about us, but also be there to support and build up the community. These are trusted people by Paul and he knows their gifts and graces. Paul sends Tychicus because he knows the job he will do and that he will be able to reassure the people. Can you imagine what it would be like to have you leader thrown in jail and you are carrying on after this happened. What must have been going through their minds. But Paul is as calm as he can be and find great excitement in showing people the love of God in all his words and actions. This is Paul’s purpose. He also longs for there to be peace among the brothers and sisters because there can be strife; but Paul wants the people to live in peace because this is the life that Christ calls us to. Peace even when everything seems to be going wrong around us. This peace is not just everything working out; but it is an inward peace which we have opened ourselves up to to show we are trusting in the Living God. This peace and faith comes through Jesus Christ and is offered to those who love the Lord Jesus Christ forever. Paul’s salutation is full of life and grace. Is this how we leave people when we’re not around them? How can we work with God toward bringing the message of peace to those who need it most? Ephesians 4:29-32 Don’t let any foul words come out of your mouth. 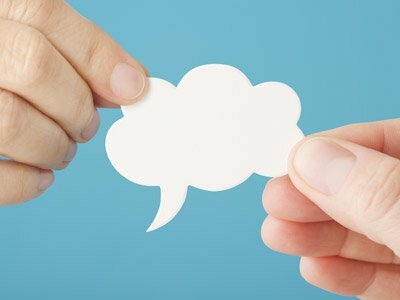 Only say what is helpful when it is needed for building up the community so that it benefits those who hear what you say. Don’t make the Holy Spirit of God unhappy—you were sealed by him for the day of redemption. Put aside all bitterness, losing your temper, anger, shouting, and slander, along with every other evil. Be kind, compassionate, and forgiving to each other, in the same way God forgave you in Christ. This is where I feel Paul is really stepping on my toes. How can he write this and expect that people live like this? It almost seems too difficult. After all, don’t the people around us make us do the things that we do? Aren’t we obligated to speak what we want to say and “need to say” so the other person knows how they are in the wrong? Paul is finishing this chapter with this seemingly negative command. It can almost seem like he is in your face and telling you directly that you and I are the ones in the wrong and he is proving it to us. But, this is not what Paul is talking about. 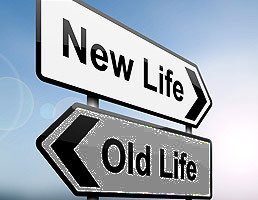 For the past few days, we have been looking at the differences between the “old” way of life and the “new” way of life. So, why should we desire to live this way? What’s in it for us? The truth is that we should live this way because it is God who forgave us and is compassionate toward us. How bad is it when you give a gift and the person you gave it to treated everyone else as poor? This is the same kind of thing. 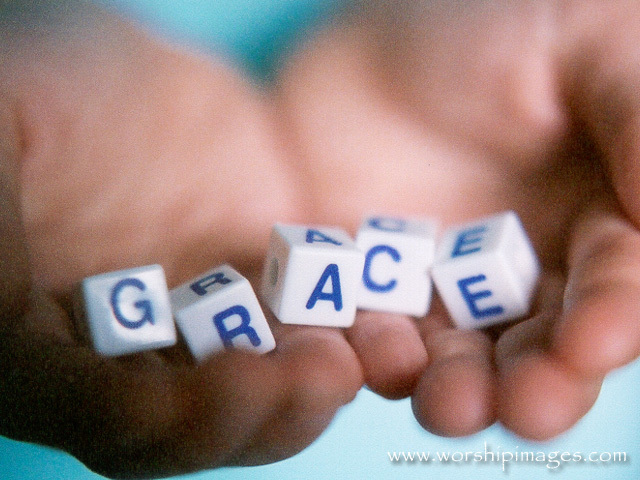 God has shown us grace, forgiveness and mercy, why shouldn’t we freely give as we have been given? Jesus said the greatest commandments are to love God and love people. Even if someone treats us wrong, we should look at our response. We like to justify our actions and show people why they are the ones in the wrong; but we are all asked to live to a higher standard. This means loving our enemies, feeding them, turning the other cheek, not judging, etc (see Jesus’ Sermon on the Mount). This kind of life is not easy with out Christ. For, when we lean on Christ and trust in Christ, we can see the value in other people and live lives of humility and patience toward all people. God has freely given us grace and forgiveness, how can we pass this on to others so they too know God’s grace and love personally? Tomorrow, we journey into Ephesians 5! Ephesians 3:1-7 This is why I, Paul, am a prisoner of Christ for you Gentiles. You’ve heard, of course, about the responsibility to distribute God’s grace, which God gave to me for you, right? God showed me his secret plan in a revelation, as I mentioned briefly before (when you read this, you’ll understand my insight into the secret plan about Christ). Earlier generations didn’t know this hidden plan that God has now revealed to his holy apostles and prophets through the Spirit. This plan is that the Gentiles would be coheirs and parts of the same body, and that they would share with the Jews in the promises of God in Christ Jesus through the gospel. I became a servant of the gospel because of the grace that God showed me through the exercise of his power. At first when I read this, it almost seems that Paul is acting smug, “I know this…and was revealed to ME…” But I think there is something deeper to what Paul is saying. If this were this only passage we read of Paul’s writings, we miss what the entire message is. Paul is overflowing with the grace of God and is held responsible to share this grace with all people he encounters. Think of a time when you were given knowledge. Were you the only one? Did it make you feel part of the group to know the same things they know? We all like to be “in the know” and to know things other people don’t. This can give us superiority and authority over others. If we’re not careful, we will us that knowledge for ourselves. There is always something more that we can know other people don’t. Secrets and gossip are rampant. I have fun with people when I sing to them, “I know something you don’t know.” This is a fun thing to do. Now, what if we are given some incredible news, like anything God reveals to us, and we just try to keep it to ourselves and don’t share? Paul is reminding us that he has a responsibility to share the good news that was revealed to him. I believe God still reveals wisdom and truth to us today through His Spirit. What is something you feel God has spoken to you? Paul is saying that the plan of God is to bring ALL people to God through Jesus Christ. This is an awesome plan because that means that God is wanting you and me to come to faith and knowledge in Him. This is something we cannot keep to ourselves. If we are given some insight to what God is doing, that means we are spending time with God and we see the world through His eyes which means we share what we have learned. This is one of the things I love about the book of Ephesians, about the whole Bible really, that God’s grace and mercy is available for all people. There are stories in the Old Testament through the New Testament that show God speaking to His people and giving them a word or insight the rest of the culture needs to hear. This is what Paul is doing. This is what we are called to do. Because of Jesus Christ everything is different. It is the gospel of Jesus Christ that changes us and transforms us to new creations who go out and make a difference in the lives of those around us and share in the goodness of God in all aspects of our lives. Today, we begin the final chapter in Galatians. This is a great chapter on how we should live in community with others in the faith. Galatians 6:1-5 Brothers and sisters, if a person is caught doing something wrong, you who are spiritual should restore someone like this with a spirit of gentleness. Watch out for yourselves so you won’t be tempted too. 2 Carry each other’s burdens and so you will fulfill the law of Christ. 3 If anyone thinks they are important when they aren’t, they’re fooling themselves. 4 Each person should test their own work and be happy with doing a good job and not compare themselves with others. 5 Each person will have to carry their own load. Throughout the letter of Galatians, Paul is speaking of a personal faith in Christ and how Christ gives individuals freedom. Now in chapter 6, the last chapter of this letter, Paul shifts his focus from the individual to the community. This should remind us that Christ is working in us personally, but Christ is also working through the community. I am not going to pretend that living in a community is easy; nor will I say it is peaceful. When we add other people into our lives, life becomes more, not less complicated. But, Paul is reminding us how we should live and encourage each other. Paul reminds us that we should be gentle. Oftentimes we say that the other person needs to be told just like it is and it doesn’t matter how the words come out. They need to know they are wrong! This is true; but there seems to be a way to correct, but also build up so that the other person can become better. We can affirm the person’s strengths and good qualities, then we can speak of what went wrong. The end of verse one is something we should also keep in mind: Watch out for yourselves so you won’t be tempted too. This reminds us that we are also susceptible for the same kinds of actions and attitudes as that of the person we are there to correct. We do not live this life alone so. This statement by Paul reminds us how we should be with each other: Carry each other’s burdens and so you will fulfill the law of Christ. I think it is awesome, Paul found another way to say the simple phrase, “Love your neighbor as yourself.” That’s the law of Christ. We should be the people who do not allow others to live, or think they live, this life alone; there are always people there for them even when life seems to go down the drain. But he also goes on to say, “If anyone thinks they are important when they aren’t, they’re fooling themselves.” To me, this means we need to be humble and not think highly of ourselves. Many times if we are trying to help someone in need, we want them to get the help they need, our way. It becomes hard to listen to a person who thinks they are more important than they are. Conversely, we should not compare ourselves with anyone else. We should be the people who do our work to the glory of God, which means we do it as best as we can. Then, when our work is tested, we know for sure we did what we were supposed to do. We have our own work to do, so we must do our job and not add to other people’s work load just because we don’t want to do it. Our faith in Christ gives us absolute freedom to be there for people, no matter how different they are from us, and to do our work the best we can. When we live in this way, we proclaim Christ with our entire lives, words and actions.